Foam Talent brings together 24 international photographers under the aged of 35. Through photo-objects, discrete installations, beamers, lightboxes and wallpaper, it exceeds expectations of a classic photography show. A Foam Fotografiemuseum Amsterdam initiative, this travelling exhibition is held at Beaconsfield Gallery in London's Vauxhall district until 18 June. Sofia Ayarzagoitia (MX), Juno Calypso (UK), Bubi Canal (ES/US), Paolo Ciregia (IT), Sam Contis (US), Jack Davison (UK), Nicolo Degiorgis (IT), Katinka Goldberg (SE/NO), Andrea Grützner (DE), Samuel Gratacap (FR), Maxime Guyon (FR), Felicity Hammond (UK), Alexandra Hunts (UA/NL), Taejoong Kim (KR), Nico Krijno (ZA), Leo Maguire (UK), Stefanie Moshammer (AT), Andrés Felipe Orjuela (CO), Antonio Ottomanelli (IT), Daan Paans (NL), Louise Parker (US), Andrejs Strokins (LV), Ilona Szwarc (PL/US) and Daisuke Yokota (JP). 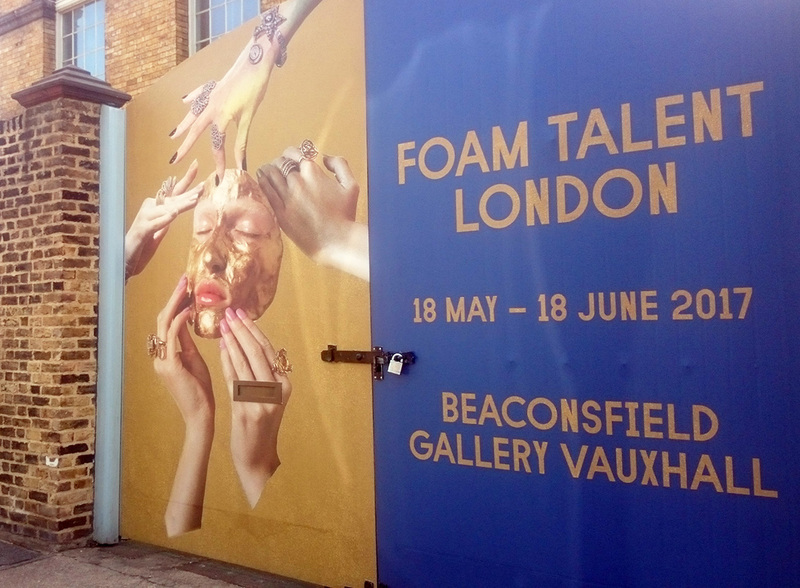 Foam Talent at Beaconsfield Gallery, London from ArtworldNow on Vimeo.